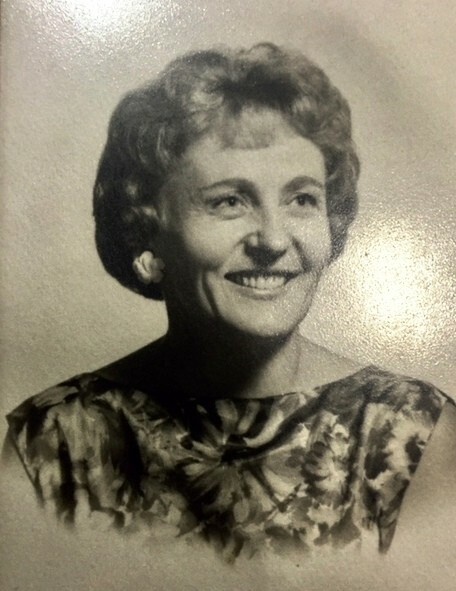 Obituary for Hildegard Rommlau Stamey | Sullivan's Highland Funeral Service & Crematory, Inc.
Hildegard Rommlau Stamey passed away peacefully at Womack Army Hospital on September 1, 2018. She was a wonderful, loving mother and grandmother who loved her family with all her heart. She was born on April 7,1926 in East Prussia, which was considered part of Germany. She was preceded in death by her husband Msg. Edwin J. Stamey, daughter, Irine Thompson, and three sisters and one brother. She is survived by her daughter, Renate W. Blanton; three grandsons, Chad Michael Blanton and wife Cindy Blanton, Christopher Ryan Blanton and wife Jennifer Blanton, and Gene Brian Lizer and wife Amber Lizer. She has five lovely great grandchildren, Gabriel Blanton, Jacob Blanton, Jordan Blanton, Kurt Lizer, and Alyssa Taylor. We are so fortunate to have had 92 years with this special lady. She went through a lot in her lifetime. She escaped from East Prussia during World War II when the Russians and Germans were fighting in East Prussia. Hilda and her sister Freida, fled for over two months to escape being captured. They would sometimes walk with the British soldiers and were shot at many times. When they had a chance they would sleep in haystacks, barns or train stations. It was very cold and some of her fingers were frostbitten. They arrived in Erlangen, Germany which was a small university town where she worked. After the war, she helped put together the books for the Nuremberg Trials. Hilda married Edwin J. Stamey while in Germany, and shortly after they moved to Fort Bragg, NC. She enjoyed sewing, cooking, and gardening. She worked at Soffe Manufacturing Co. where she helped make parachutes, and clothing for the soldiers. She was very creative and made her daughter’s wedding dress and bridesmaid dresses. Online condolences can be made at sullivanshighland.com. Services are entrusted to Sullivan’s Highland Funeral Service and Crematory, Inc.